FMCU - Do You Know The Real Cost Of 0% Financing? 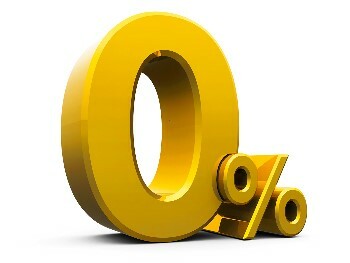 Do You Know The Real Cost Of 0% Financing? Many auto manufacturers offer special incentives to get you to purchase one of their vehicles. You could choose zero percent financing from the dealer, or you could finance your loan through First Missouri Credit Union to take advantage of the dealer’s cash-back rebate. The choice is clear. Your best financing option is almost always to take the automaker’s rebate and credit union financing. You can cut your monthly payments and save hundreds over the term of your loan. If you’re considering a new vehicle purchase, please watch our educational staff video below. *APR=Annual Percentage Rate. Rates and terms are based on member creditworthiness and other factors. This chart is for illustration purposes only. Contact FMCU for complete details.